I had never heard of red velvet cake (RVC) until a few months ago (I must have been living under a rock!) and at first I thought it was a bit tacky. I also didn’t like the idea of all that food coloring being added (although I understand that RVC can also be colored with beets or strawberries). But eventually my curiosity won and I had to make these for myself. After reading a post at Bake & Destroy about Magnolia Bakery’s RVC recipe I decided that this would be the recipe I would use. I am so glad I chose this recipe, so thank you Bake & Destroy for posting your review of these! I used Magnolia Bakery’s cream cheese frosting recipe as well, and topped them with RVC crumbs. I had to hurry to take these photos because the cream cheese frosting was quickly melting into a goopy mess! But, wow, these cupcakes are fantastic! 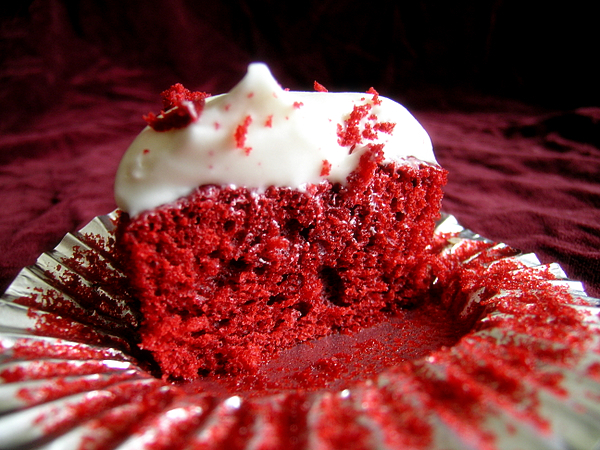 So moist and delicious, and the red color is perfect for my tastes. For the cupcakes: Preheat oven to 350 degrees. Grease and lightly flour three 9 x 2-inch round cake pans, then line the bottoms with waxed paper. When the cake has cooled, spread the frosting between the layers, then the ice top and sides of the cake with frosting. For the frosting: In a large bowl, on the medium speed of an electric mixer, beat the cream cheese and butter until smooth, about 3 minutes. Add the vanilla and beat well. Gradually add the sugar, 1 cup at a time, beating continuously until smooth and creamy. Cover and refrigerate icing for 2 to 3 hours, but no longer, to thicken before using. Makes enough for one 2- or 3-layer 9-inch cake. *I cut this recipe in half and was able to use most of the frosting for my 11 cupcakes. I’ve heard tales of how good red velvet cakes is. Your recipe looks fabulous and the cupcakes are so pretty. Great photos. I may have to carve out some time to make a batch of these soon. Maybe for a Labor Day picnic. I definitely recommend this Magnolia Bakery recipe if you make red velvet cupcakes. I know I should probably experiment with other RVC recipes before a final verdict, but I can’t see myself using any other recipe, they were just perfect! How did you use the recipe calulator to scale down to 1/3. I’m having trouble using the calculator to get 12 cupcakes. hey, i can’t get hold of cake flour where i am, can i use a different type of flour? You can use regular all purpose flour as long as you have some corn starch. Here’s an excellent how-to from Joy The Baker. 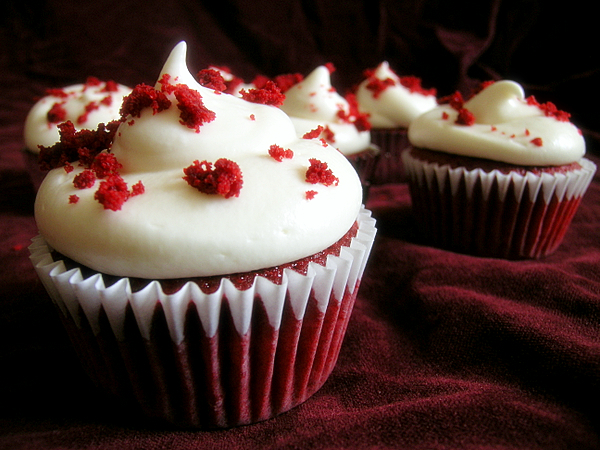 your red velvet cupcakes look just fabulous! batch of these cupcakes on Friday for the New Year’s Eve party for the first time!! and I’ll try to use your recipe, but can you please tell me how large your “cup”is that you use here in this recipe? is it like a regular glass with 250 ml volume or sth smaller? and for how many cupcakes is this recipe? 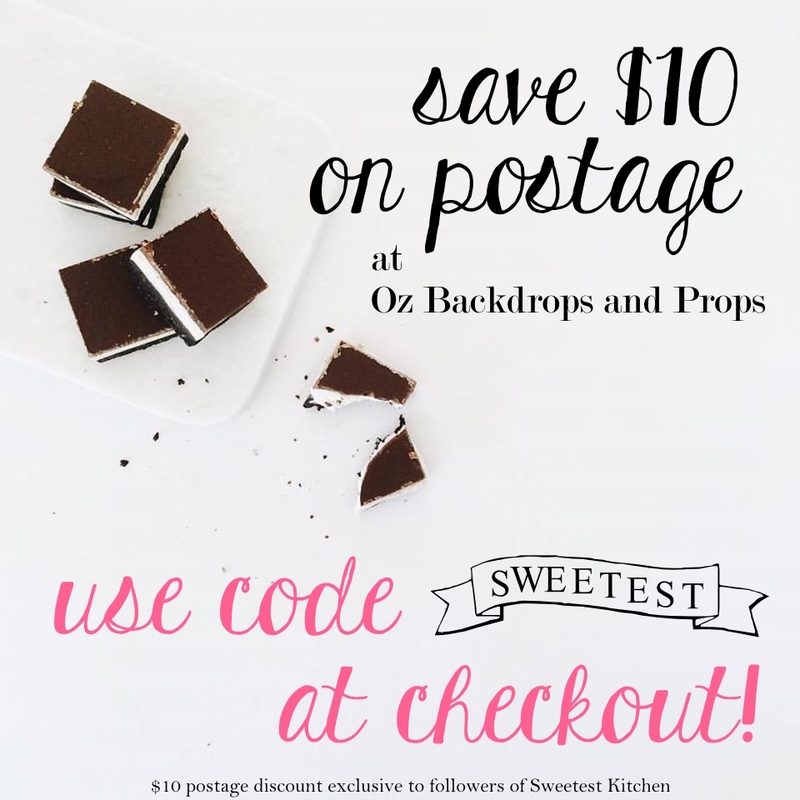 thank you in advance for your reply and good luck with your baking! i followed it exactly and i even used your tips for making buttermilk and cake flour, the cupcakes turned out perfect! Hi!! I tried these cupcakes and I’m not sure what I did wrong. I’m just starting my cupcake adventure because I love to bake, but I just feel like every time I make a batch something turns out wrong. These were not moist for me! Could it be because I mixed them too long or baked them too long? I cant wait to try your recipe….and thank god you put the note about buttermilk, I’ve never bought the stuff and worry that the normal milk might not make it taste as good. I live near a place called Eurofoods its like a Europe food store behind a factory at lindum they had 1kg cake flour and 1kg tipo ’00’ flour FOR 50CENT A BAG….I got alot of bags lol and I think it makes a difference. Thanks again for the recipe and I love the crumbs on top it just sets it off. icing was good tho and it really is just a way to eat icing at work and not have the “is she eatting a bowl of icing?” look on their faces. Made these yesterday, followed the recipe exactly for the first batch — ended up being overbaked and not moist at all… Second batched, shaved off – five minutes and was better but still overbaked. I think half an hour might be too long for these cupcakes… It felt like it would be too long when I first read it but I went with it anyway. Next time I think I’ll try 20 minutes and maybe that’ll be better. this is the best recipe!!! i couldn’t find your site in my bookmarks and made a different recipe and they could not compare to these. by far the best red velvet cupcakes ever!!! im getting ready to try this recipe and all i have is salted butter! is that okay? Yes, that should be okay. Just leave out the 1 1/2 teaspoons salt that is called for in the recipe. These look so good! I can’t wait to try the recipe! Also, you have a typo in step 4–you say overheat but I think you mean overbeat. Hi Tess, you are correct! You’d want to bake cupcakes for 18-20 minutes. And yes, I do mean overbeat. Thank you! !